WASHINGTON (Reuters) - The Democratic chairman of the U.S. House Intelligence Committee said on Sunday he was concerned that Special Counsel Robert Mueller may not be investigating President Donald Trump's ties to Deutsche Bank AG. 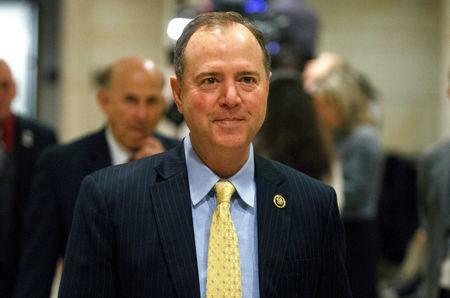 U.S. Representative Adam Schiff announced last week a wide investigation into attempts to influence the 2016 U.S. presidential election as well as Trump's financial dealings, including "credible reports of money laundering and financial compromise" related to Trump business interests. Deutsche Bank has lent the Trump Organization hundreds of millions of dollars for real estate ventures and is one of the few major lenders that has given large amounts of credit to Trump after a string of bankruptcies at his hotel and casino businesses during the 1990s. Schiff told NBC's "Meet the Press" he was concerned about whether Mueller had been held back from investigating Trump's finances. Schiff cited reports that Trump threatened to fire Mueller in 2017 after reports he was trying to get records from Deutsche Bank but backed down after his lawyers received the assurances from Mueller. "If the special counsel hasn't subpoenaed Deutsche Bank, he can't be doing much of a money-laundering investigation," Schiff said. "So that's what concerns me, that that red line has been enforced, whether by the deputy attorney general or by some other party at the Justice Department. 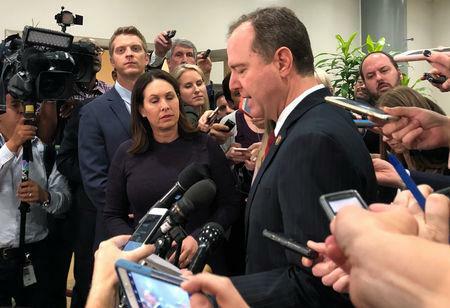 But that leaves the country exposed," Schiff said. The special counsel's office declined comment and Deutsche Bank did not immediately return requests for comment on Schiff's statements. Trump has denied any cooperation by his campaign with Russia to sway the 2016 presidential election. Last week, he dismissed Schiff as not having any authority to review his business dealings. The bank, one of the world's largest financial institutions, was ensnared in a massive Russian money-laundering investigation and was fined heavily by both U.S. and U.K. regulators in 2017 for practices involving Russian accounts.